With multicultural and international education and work experience across the U.S., Canada, and Asia, May has the ability to communicate across a variety of audiences. She is an award-winning PR specialist with a strong background in crisis communications and CSR campaigns. She cares about causes related to the environment, education, and technology, and has been developing and overseeing strategic directions and tactical executions for several projects. 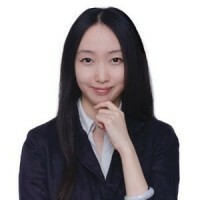 May holds a BA in International Economics and Trade from Renmin University of China, and she will be graduating from University of Massachusetts Boston with an M.B.A. degree and Business Analytics certificate.